This recipe for South Indian Beef Madras is made with one Madras Paste Pot, some ginger, garlic and green chilli. Perfect for when you both crave a curry with just a little more kick! 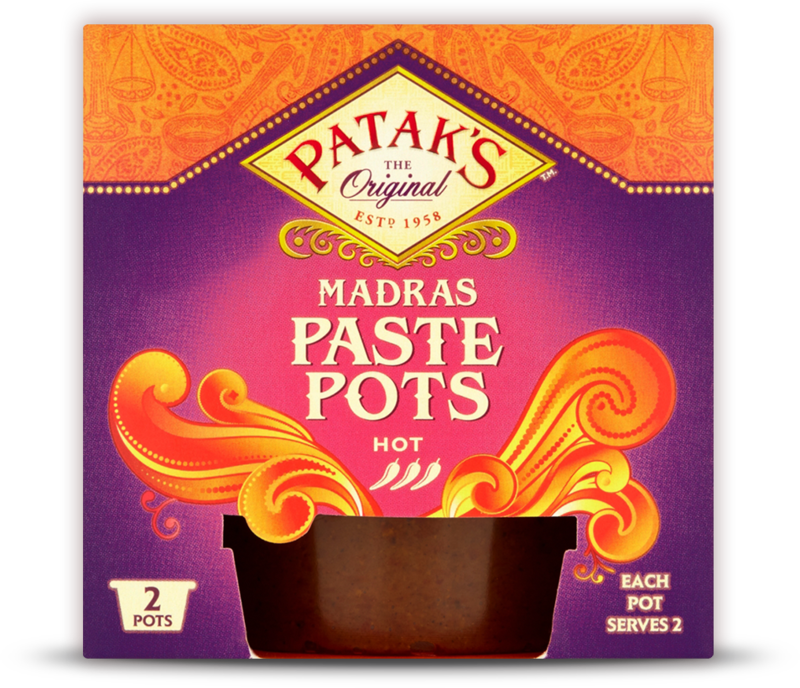 These Indian style pancakes, spiced with our Madras Paste Pot, will wake you up! Perfect for a savoury breakfast or snack this street food dish is the real deal and packs a fiery punch. This quick and easy midweek meal is full of ginger, coconut and the fiery spices of our Madras Paste Pot.